Keep your car immaculate and pristine with the VAC 'n BLO Commercial Series. Enjoy the Ride! - The VAC 'n BLO Commercial Series is the first choice of professional detailers and car enthusiasts worldwide. - Incredible suction power cleans your car in less time! - As a Blower, it will clear water from inaccessible areas of your car, blast dust from AC vents and shift boots. - Conveniently mounts to the wall or roll it over to your favorite car. 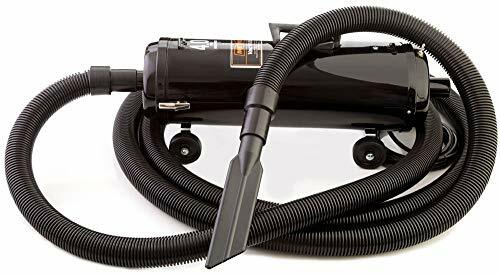 - Features a body of steel with a 4.0 Peak HP, twin-fan, industrial quality Motor producing an almost unbelievable 95" of water lift (the standard measure of vacuum efficiency). 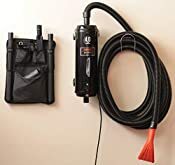 - The Vac 'n Blo comes with a full range of specialized automotive attachments to reach every nook and cranny of your vehicle's interior, and the hose bracket and tool caddy keep it all neat! 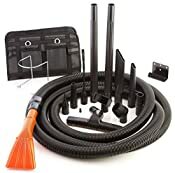 - Accessories include: - Wall Mounting Bracket - 30 foot x 1.5" Commercial Quality Car Wash Hose - Car Was Quality 1.5" "Claw" Upholstery/Carpet Tool - 1.5" Crevice Tool - 2-20 inch Extension Wands - Micro Detailing Attachments - Shoulder Strap - Blower Nozzle - Floor Brush - Inflator Adapter - Pik-All Upholstery Nozzle Dust Brush - Hose Bracket - Attachment Holder - 3 Disposable Paper Bags - 12 foot Grounded Cord. WARNING: This product can expose you to chemicals which is [are] known to the State of California to cause cancer and birth defects or other reproductive harm. For more information go to www.P65Warnings.ca.gov. The Vac 'n Blo comes with a full range of specialized automotive attachments to reach every nook and cranny of your vehicle's interior, and the hose bracket and tool caddy keeps it all neat! Made in the USA by Metropolitan Vacuum - your trusted name in high quality car care products!